When I was a year old, I went to Minneapolis to be introduced to my mother’s family. And then I never went back (I grew up in New York City; my relatives were more interested in visiting me). I finally returned to Minneapolis earlier this year, on a research trip for my job as restaurant editor at F&W. The city had beeped on the F&W radar before: We’d found excellent Best New Chefs there, like Tim McKee and Stewart Woodman, and heard about exceptional cooks like Isaac Becker. But you can eat a lot of disappointing food on these research trips; I was totally prepared for that. 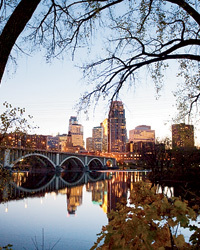 Instead, I lost my heart to Minneapolis and its awesome restaurants, bars and bakeries. I loved the impressive avant-garde food scene that’s not at all pretentious (in fact, it’s the opposite of pretentious); the places that showcase the Midwest’s great pork and produce; and the ones that so smartly update local German and Scandinavian baking traditions. Plus, it’s hard not to adore a city where such good restaurants are so inexpensive, at least when you’re used to New York City prices. In Manhattan, a 10-course tasting menu for two can easily run more than $300; just outside Minneapolis, you can find that deal for $80. Photo © Denny Royal. Travail Kitchen & Amusements, in Robbinsdale, Minnesota, is a 15-minute drive from downtown Minneapolis. At the two-year-old, no-reservations place, chef-owners Mike Brown, Bob Gerken and James Winberg—along with their team of 14 or so co-chefs—serve what must be the country’s most entertaining avant-garde food. On my visit, the huge flat-screen that monopolizes the bar area was tuned to a motocross race. There are no waiters. The cooks—who all look like they’re headed to a Phish concert—bring out dishes from the open kitchen. One of them put a potato cube with emulsified egg and crisp bacon on the back of my hand for me to pop into my mouth. At Travail, they love squeeze bottles: Cooks might fill them with cashew-chile butter to decorate roast guinea hen breast. When I was there, cooks handed me squeeze bottles of passion fruit and chocolate custards so I could make my own ice cream in a liquid-nitrogen bath. But you won’t find that dish there now. “We completely change the menu every week,” says Brown. “We sit around and pull new ideas out of each other’s heads.” In May, Travail introduced what Brown calls an “Abbott & Costello” chocolate dessert arranged on a piece of clear acetate set on a plate. “Two chefs bring it to the table, and one asks, ‘Do you really need this plate?’ ” says Brown. “Then one of the chefs pulls the plate away and the guests freak out; the chocolate still looks like it’s sitting in the air, on the acetate.” All that is $80 for two people. 4154 W. Broadway Ave., Robbinsdale, MN; 763-535-1131. At Victory 44, 30-year-old chef Erick Harcey makes almost everything on his new American menu in a space that, like Travail’s, could double as a college bar. The brief chalkboard menu ranges from bacon fries to short-rib dumplings; a five-course tasting menu is $50, and that’s including wine (the cost of a couple drinks when I’m in Los Angeles). The place serves food all day; I went for breakfast, and Harcey prepared exquisitely poached Eggs Benedict 2.0, made with melted leeks and mustard hollandaise. “I’m intense about cooking techniques; also about eggs,” says Harcey. “I put lots of vinegar in the poaching water [so the poached eggs set], and there’s always a thermometer in the water bath.” Harcey is also intense about coffee: He recently opened Victory 44 Coffee Bar & Provisions, where he sometimes serves as a barista. 2203 44th Ave. N.; victory-44.com; 612-588-2228. Photo © Tom Okins. The Bachelor Farmer is the superstylish year-old restaurant owned by Eric and Andrew Dayton (sons of Minnesota’s governor, Mark Dayton, who is heir to the Dayton department-store fortune). I’d heard that part of the restaurant’s design included a pair of glasses left in the bathroom to give the place a homey feel; however, guests kept returning them to the hostess and they were nowhere to be seen on my visit. From the Toasts section of chef Paul Berglund’s outside-the-box Scandinavian menu, I ordered cabbage with roast shallots and Camembert. The cheese was baked in with the brothy cabbage, like a groovy take on French onion soup (in warm weather, the cabbage is swapped out for spring vegetables; the dish is less brothy). It’s accompanied by an adorable antique rack stacked with toast, a specialty—Berglund is a bread expert who baked at Rustica after seven years at the Bay Area’s Oliveto. But he’s also adept at making all kinds of dishes, including a lovely grilled, marinated cucumber salad with smoked trout. 50 N. Second Ave.; thebachelorfarmer.com; 612-206-3920. The specialty of the house at chef Landon Schoenefeld’s Haute Dish is TaterTot Haute Dish (TTHD). “I grew up with ‘hot dish,’ ” says Schoenefeld. “I’d ask my mom what was for dinner, and she’d say, ‘hot dish.’ It can mean anything.” (In fact, it’s a Midwestern term for casseroles.) His terrific dish features glazed, braised short ribs that are falling-apart tender, topped with giant, cheesy, homemade Tater Tots crusted with potato flakes and served with porcini béchamel sauce instead of traditional canned mushroom soup. It’s mammoth, and it costs $22. “We’ve sold about 16,000 TTHDs in the two years that we’ve been open,” says Schoenefeld. “That’s 90,000 Tots.” As a change of pace from the wood-paneled, dive-bar-esque restaurants I’d been to, Haute Dish has a swanky vibe straight from the 1950s: red leather booths, an endless bar and low lighting—which seems appropriate, since the place is surrounded by strip clubs. 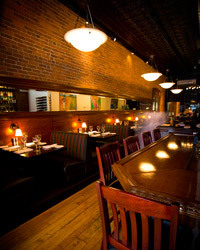 119 Washington Ave.; haute-dish.com; 612-338-8484. Many Minneapolis chefs are Midwestern natives who think the region is coming into its own. Sameh Wadi, chef at the modern Mediterranean Saffron Restaurant and Lounge and the upcoming World Street Kitchen restaurant, believes that, too. But Wadi, 28, was born in Kuwait and raised in Jordan; he moved to what he calls “the frozen tundra” of Minneapolis when he was 13. I loved Wadi’s take on classics like hummus, which he enriches with pools of caramelized paprika butter. “Minneapolis is much more than a meat-and-potatoes place,” he says. “Still, locals might not take a chance on a dish they don’t know if it’s $20; they will on a $10 dish.” The prices at Saffron reflect Wadi’s thinking. 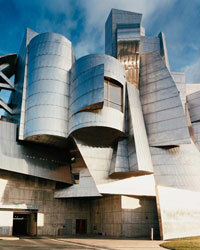 123 N. Third St.; saffronmpls.com; 612-746-5533. Photo courtesy of Tilia. Andrew Zimmern—the host of Travel Channel’s Bizarre Foods, an F&W contributing editor and a Minneapolis resident for 20 years—told me that if he had to choose a Twin Cities chef to make his last meal, it would probably be Steven Brown of Tilia. 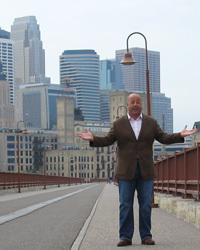 (For Zimmern’s picks on what I missed in the city, see Andrew Zimmern’s Favorite Twin Cities Restaurants.) I’m with Andrew. A local hero in Minneapolis, Brown has cooked at most of the notable restaurants, including Porter & Fry and the 1990s hot spot Loring Café. Last year, he took over an old Chinese restaurant, revamped it to look like a classic lunch counter and started serving excellent, eclectic dishes that range from potted duck (a pâté-like snack served in a jar) to jerk-style chicken thighs. I wound up at Tilia for brunch, my least favorite meal. But Brown sold me on steamed eggs, which sound completely unappealing—unless they’re served with brown butter bagna cauda and caramelized cauliflower, in which case they’re delicious. The dish cost only $8.50, or about half the price of any decent brunch dish in New York City. 2726 W. 43rd St.; tiliampls.com; 612-354-2806. Photo © Susan Powers. It may be set in a modest mini-mall, but Rustica represents my bakery hall of fame. Owners Steven and Barbara Horton have stocked the shelves with Sicilian olive-studded bread, miche (a dark-crusted French country bread), kouign amann (a Breton pastry that is essentially caramelized croissant dough) and even hazelnut dacquoise (the meringue-and-buttercream layered cake that I always request on my birthday). I also discovered something new, a Spanish-inspired, yeasty flatbread with a sugary glaze called cañadas de azucar—the special on the Sunday I was there. I now carry Rustica’s menu around with me as a reminder that Thursday’s specialty is levain bread filled with toasted sesame seeds, so I won’t miss it on my next trip to Minneapolis. 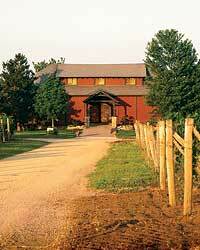 3224 W. Lake St.; rusticabakery.com; 612-822-1119.